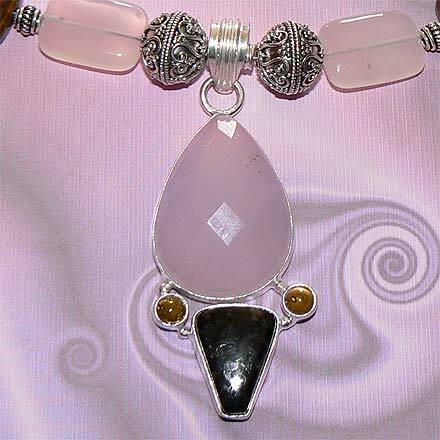 Sterling Silver Chalcedony, Pietersite and Citrine Necklace. See Closeup. 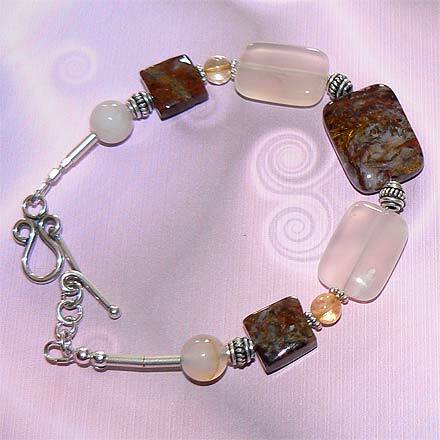 Sterling Silver Chalcedony, Pietersite and Citrine Bracelet. 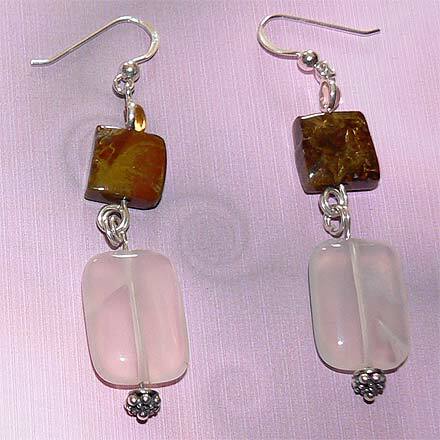 Sterling Silver Chalcedony, Pietersite and Citrine Earrings. 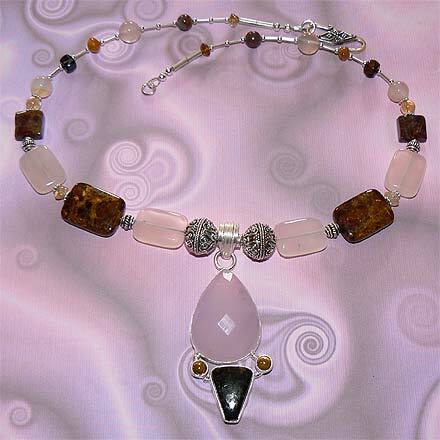 A great assortment of shapes and sizes of beads featuring three unique stones, Pink Chalcedony, Pietersite and Citrine. There's lots of glow, an inner glow with the Chalcedony, a unique sheen-like glow with the Pietersite and a golden glow with the Citrine. For those who are interested in Astrological significances of stones, Agate, or Chalcedony, corresponds with Gemini and Capricorn, and Citrine is November's birthstone.